Mosley, the author of more than 50 books of fiction and nonfiction spoke about “Devil in a Blue Dress” at the library as a part of the One Book, One Michiana community reading event that ends on Sunday. Rawlins had spent years solving murders, finding people and raising children left on his doorstep, all while dealing with the racism of post-World War II Los Angeles. Perhaps it was time for Rawlins to depart. After all, the woman he loved, Bonnie, had decided to marry an African priest. Rawlins, drunk and behind the wheel of a car on the Pacific Coast Highway, passes three cars before swerving onto the shoulder to avoid a collision with a truck. “But the shoulder ends and he drives off the side of the road,” Mosley said, adding that was not was the planned ending for “Blonde Faith.” But by the time Mosley was nearing the end of “Blonde Faith,” which is set in 1960s during the Vietnam War, the author said he suspected the time was right. “But then I thought that maybe I wrote it for a reason because I believe that most art is unconscious, so I’ll just let him be dead and that will be that because I can’t think of another Easy Rawlins book,” Mosley said. 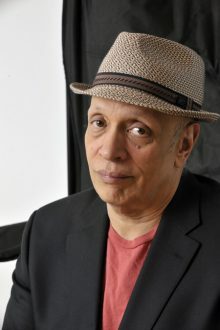 Mosley wrote other books of fiction and nonfiction after “Blonde Faith” was published in 2007, including several that featured a new private eye based in contemporary New York named Leonid McGill. However, Mosley it turned out wasn’t finished with Easy Rawlins. Mosley resurrected Rawlins in the 2013 novel “Little Green,” as it turned out Rawlins actually survived a coma after the accident. Mosley said that his writing is driven by the belief that if people do not exist in literature they do not exist at all. “Because nobody in America reads history so I wanted to write about my father’s family, and the black people living in Los Angeles, building Los Angeles, oppressed by Los Angeles,” he said. Mosley said the revived Rawlins remains in Los Angeles, but its the L.A. of the late 1960s that the author knew and grew up experiencing. “I will be writing about the same characters and the same events and people, but the stories will be on equal setting with me because it will be what I know,” Mosley added. In an interview prior to the lecture, Mosley said the newer books give him a chance to show how Rawlins and Jackson Blue and Mouse, the other main characters readers meet in the series, have evolved. “In 1948 if you were in Santa Monica or Beverly Hills and you were black, you were stopped and most likely arrested,” Mosley said. “By the books I’m writing now it’s 1968, 1969 and you can be anywhere and can do anything. Easy Rawlins was a janitor in “Devil in a Blue Dress.” His friend Jackson Blue was a con man and Mouse was a thief. 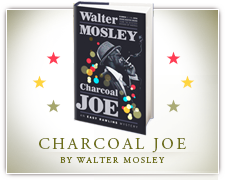 In the latest book, “Charcoal Joe,” Rawlins is a property owner, Jackson Blue is the No. 2 man at the largest insurance company in the world and Mouse is the member of a crew that pulls heists all over North America, Mosley said. “In their chosen fields they’ve gotten so much better, and I love that about them.